This article alludes to minor spoilers. 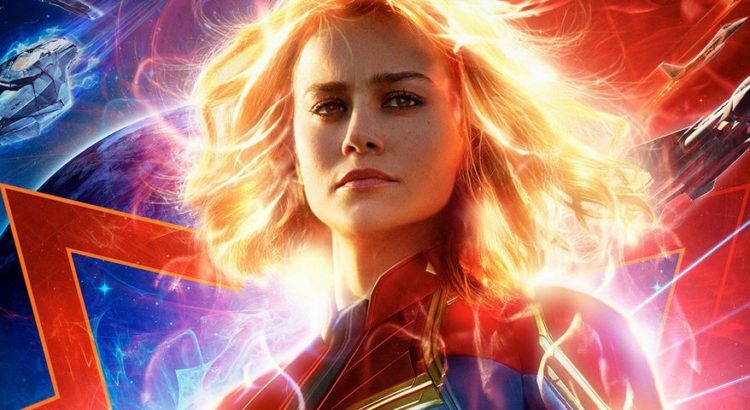 In a beautifully shot debut, Captain Marvel cultivates a mythological (and exciting and godly) character, rightfully cementing her as one of the most anticipated heroes in the Marvel Cinematic Universe. Best known for her Oscar-winning role in Room, Brie Larson plays a Kree warrior referred to as Veers (the reason why is nicely revealed later on). Kree warriors has a single mission to uplift the universe: defeat an alien race called Skrulls who are hellbent on infiltrating and destroying civilizations through shapeshifting. She is often encouraged to suppress her curiosity regarding her lost memories in order to embrace their mission for the better of the Kree army. However, after a failed assignment, she is knocked down into Earth— where she finds out that she might once have had a life on this planet. Veers — also known as Carol Danvers — has a particularly unordinary origin story. She’s a little difficult to adapt to the big screen, considering she is unknown to the greater public and has a less consistent comic book history. But the movie packs her distinct story in the runtime, establishing the world and moving dynamics within it. The loss of memory is a major theme— and point of confusion for Veers. However, it never seems to be her main goal to find out who she is, as pointed out by this piece in The Atlantic. However, I interpreted this as the Kree’s obsession of suppressing emotion and embracing a militaristic way of life— something Veers was (fruitlessly) trying to adopt. I will say, the movie could have expanded the Kree way of living and its operatives a bit more (and more subtly). To delve into the world that adopted her and how they effectively shaped her into being their warrior would have allowed us to understand our amnesic hero more. But the movie is a lot easier to handle once you realize that Veers is approaching her time on Earth as a single-minded soldier. She is not impressed with what she sees on our planet at all. But there is a break once she realizes that Earth is a lot more personal than she had thought. Larson was given a very confused person to portray, but her cadence and gait throughout carried the character. The movie approached the “obligatory origin story movie” by working backwards, which I believe is ultimately more beneficial to Carol and the audience. I thought it was rather effective to leave her emotional Earth connections to past friend Maria Rambeau (Lashana Lynch, Still Star-Crossed) and her daughter Monica Rambeau (Akira Akbar), rather than her clearly unhappy upbringing. Veers seems to be cemented in the connections she chooses to make, rather than ones forced upon her. There is something poetic to leave much of her past in flashes, mysterious glimpses, as it allows as to see Veers as the person she currently is— a Carol Danvers who has changed, who has experienced a world bigger than hers. I hope dearly we can see the Rambeau family again, as they were darling in every way. I am especially glad Maria was on board for the climax as well— her relationship to Carol was especially complex, full of distinct grief and care. Lynch gave a performance that balanced the quick-pace of a fun Marvel movie with the underlying yearning of the character. The most expected comment of the film will be that Carol is too powerful— and logically, I can see that. But I had a smile on my face throughout the climatic sequence. It’s not subtle, but it’s not distracting. It’s not bad. The movie is just fun, alleviating and paced in ways that a viewer needs. Samuel L. Jackson’s Nick Fury was an absolute delight as the deuteragonist. Jackson’s character has been flitting in and out of the franchise for a while now, so seeing him as an unabashedly enthusiastic fan of Veers and her world gave a lot of endearing insight as to why he would create The Avengers in the first place. It was wonderful to see Fury as wide-eyed, less brittle man who is open to trust people. It explains a lot about Fury in the present timeline— why he isn’t as wary of these powerful superheroes as one would think he would be. It’s because he can sense the good in them— he’s seen it before in Carol. Jackson was consistently uplifting in every scene he was and continues to be a highlight in the Marvel universe. I also hope we can see their dynamic (and the cat) again. One of my biggest disappointments definitely stems from the larger problem that the MCU tends to adopt: they hire really fantastic actors, hide them under voice changers and armor, and have them appear essentially as background characters. Gemma Chan (Crazy Rich Asians) and Lee Pace (Pushing Daisies, Guardians of the Galaxy) were just a few examples in Captain Marvel— both dynamic and beloved actors but barely used. Annette Bening (20th Century Woman, one of my favorite movies) played a larger role and even then, I felt like she could have been allowed to chew up the scenery a bit more. However, she was deeply engaging on the screen— a relaxed, cool presence and the key to the story’s mystery. And if I can take a moment to say— I deeply enjoyed the look of the female characters in this movie. I wouldn’t say I have an eye for fashion sense/aesthetics, but they were all framed in the way that felt deeply different. Maybe it was the absence of a male gaze. Maybe it was the grunge look. Captain Marvel’s arc wraps up in a satisfactory way, concluding a piece of the larger intergalactic Marvel story. It pumped me up for Infinity War and what our new player can bring as a superhero and as a reassured Carol Danvers. I hate most superhero movies, haven’t seen a Marvel movie since Avengers 1. I have a free opportunity to see this move, so I’m trying determine if it is worth my time. Thanks for the review.